Spotify, a Swedish music data stream system, allows selected music from world-renowned record companies such as Sony, Universal, EMI to be played without any restrictions. You can reach the music with search criteria (artist, album, song name, genre). To use Spotify, you are first downloading Android or IOS. Once you have downloaded Spotify Premium, you are a member. If you sync your Facebook social network account from the settings tab after the membership, you can easily see which songs your friends are listening to. Spotify provides you with a list of the most listened to lists, pop, jazz, rock, fitness, club, country, etc. and you can create a list in a wide range and listen to the list at any time. 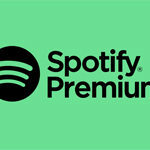 Spotify offers you the ability to download online songs to a reasonable amount with the Premium feature as well as the ability to use at no cost. You can listen to your downloaded songs without the need for any data network. Through TURGAME, you can enjoy music with Spotify Premium by choosing the one that is best for you in 1 month Spotify Premium Membership, 3 Month Spotify Premium Membership and 6 Month Spotify Premium Membership.